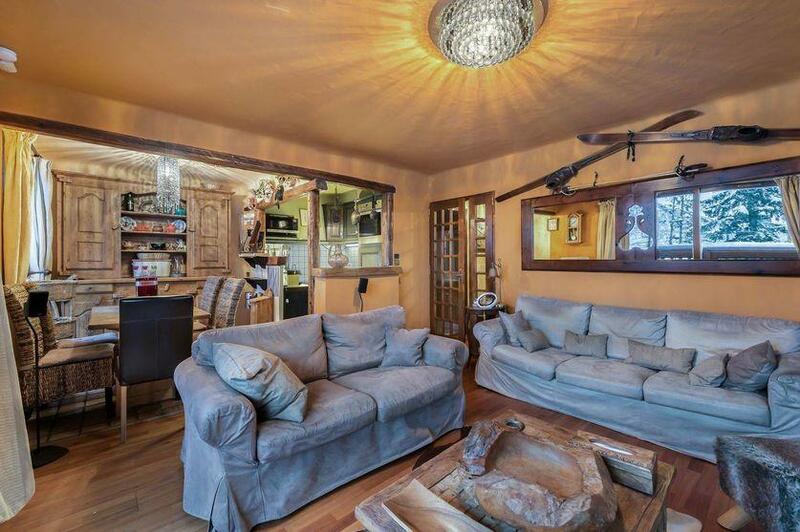 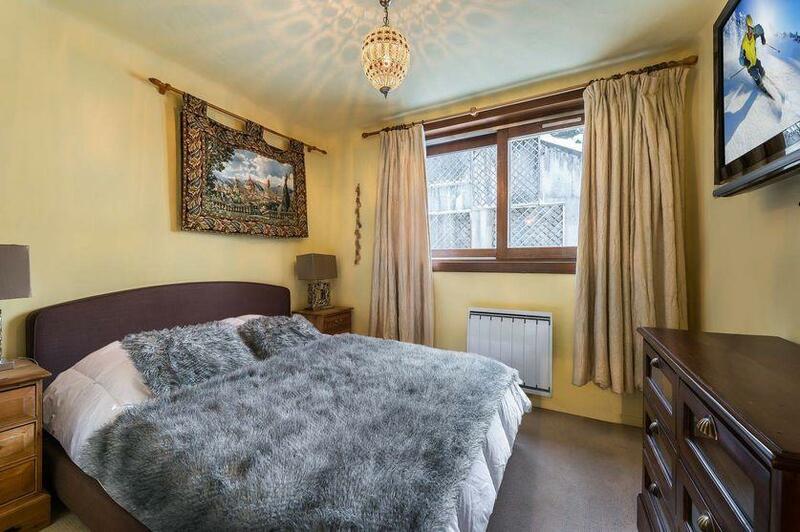 The apartment Bachal 1B is an ideal property for mountains lovers. 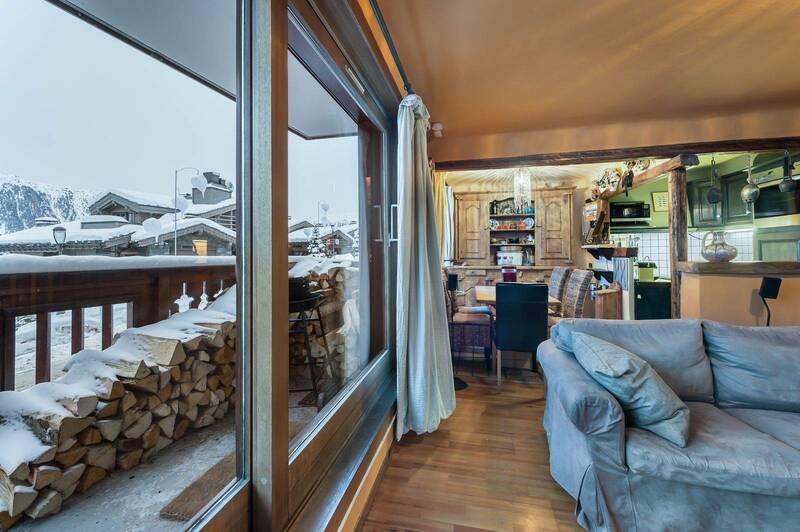 The atmosphere is cozy, the lounge with fireplace is the ideal place for beautiful evenings with family or friends and the large glazed windows offer beautiful views of the mountains, especially on the Dent du Villard. 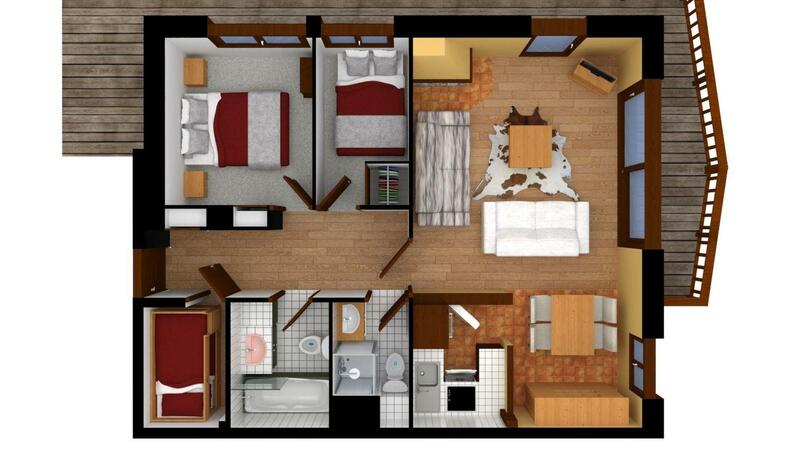 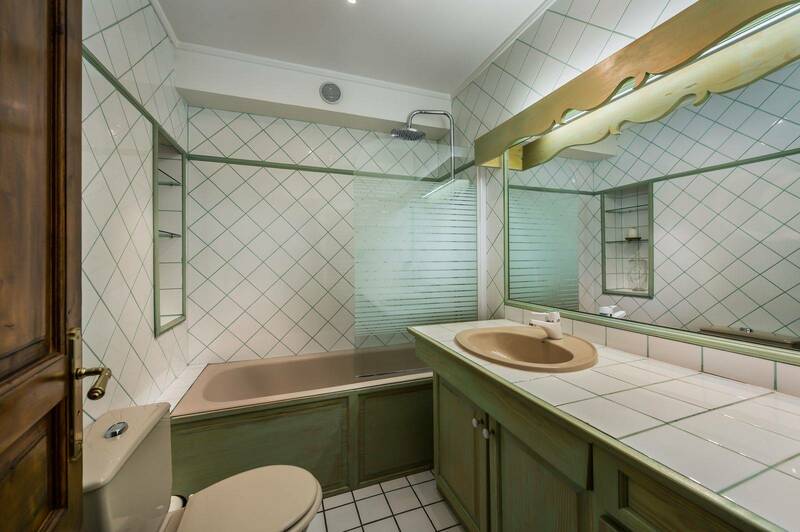 With a surface area of 70sqm featuring two double bedrooms and a cabin bedroom with bunk beds, this apartment can accommodate up to four adults and two children. 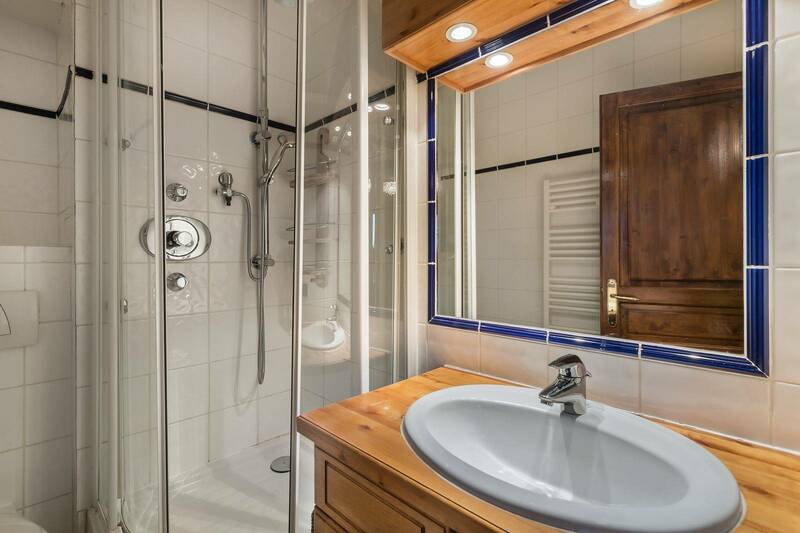 Bachal 1B is located in the exclusive area of ​​the Cospillot, on Rue des Clarines. It is within walking distance of the centre and only 60 metres from the Cospillot ski slope. 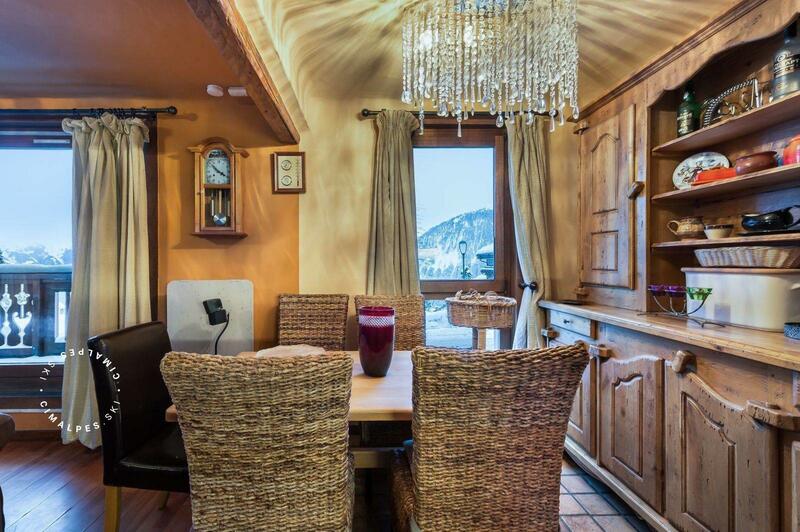 Apartment Bachal 1B is the ideal rental for a family or a group of friends seeking for unforgettable memories during their winter holidays. 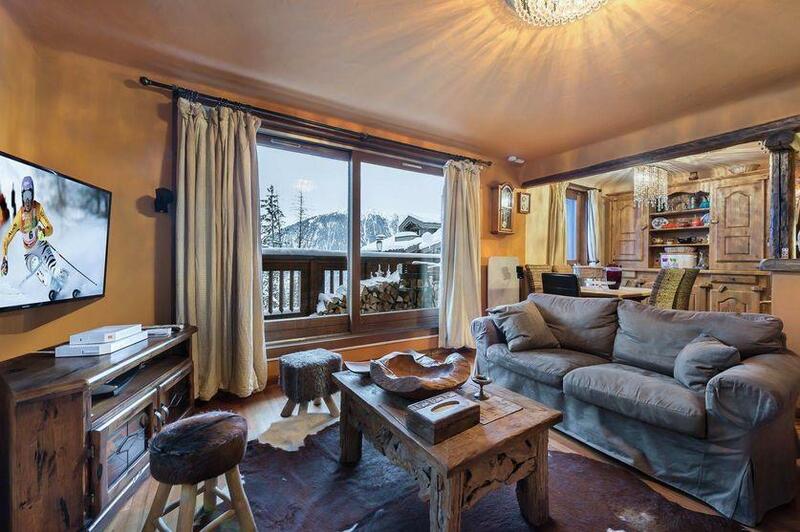 Courchevel combines authenticity and luxury in the heart of the 3 Vallées. 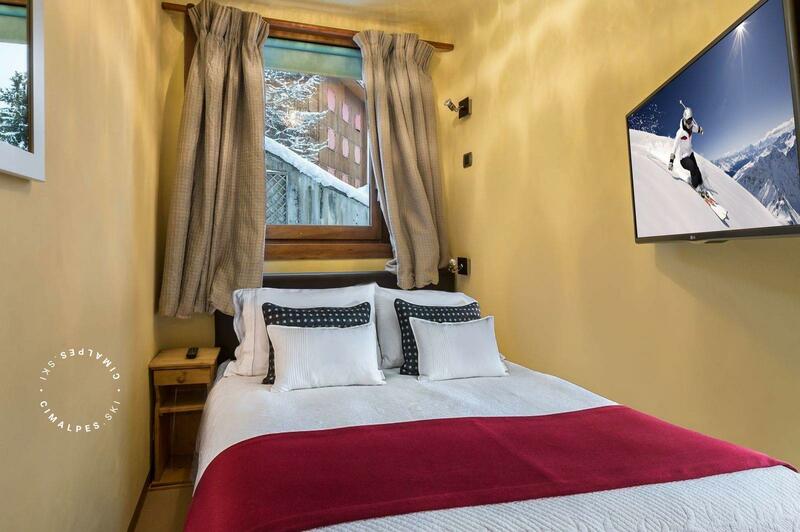 It is in the privileged neighbourhood of the Cospillot, in front of the K2 hotel and just 60 metres from the Cospillot ski slope. 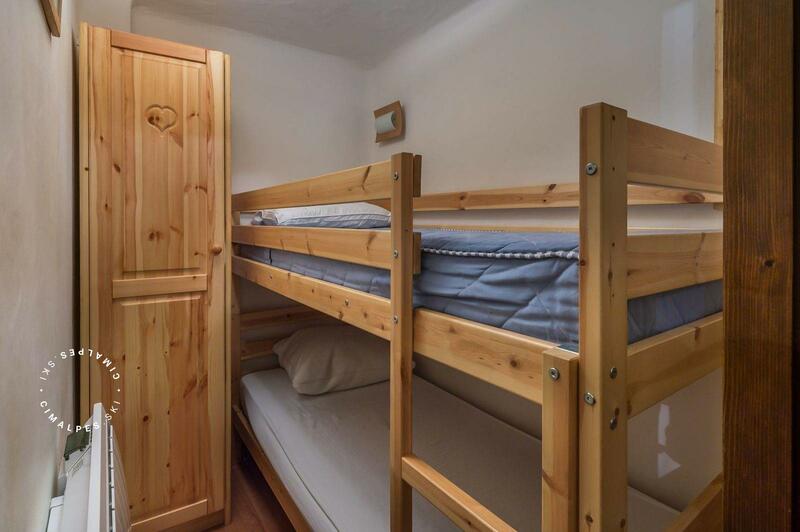 This apartment has an individual ski locker at the left of the apartment and a private parking space located at the bottom of the residence. 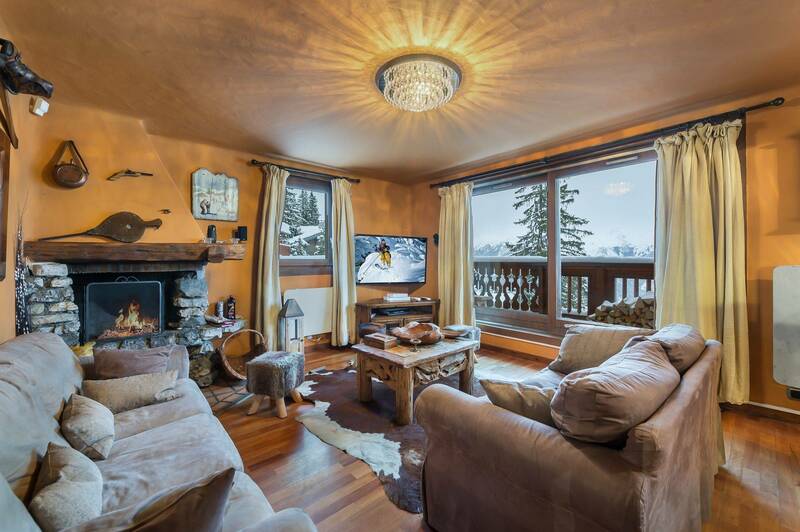 Located in the renowned Cospillot area of Courchevel near to the ski slopes, the appartment offers stunning views of the mountains from the living room.